When it comes to multi vitamins, our kids deserve the very best. As parents, we know that good nutrition is a cornerstone of good health and is vital for proper development. There are so many supplements on the market for kids, it can be overwhelming to decide which one is right for your family. 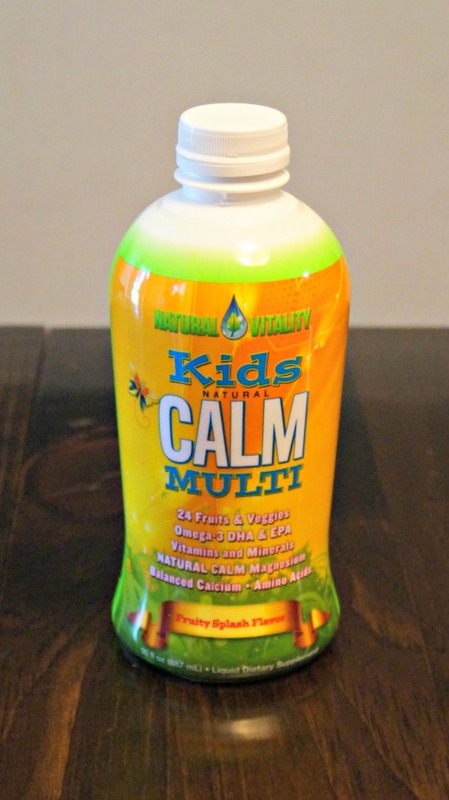 I recently came across Kids Natural Calm Multi after doing some research of my own on kids vitamins. What I happened to be looking for at the time was a children’s vitamin that contained magnesium. Kids Natural Calm Multi delivers in that area and offers so much more. Needless to say I was super excited when they reached out to me for a review. Magnesium is an essential mineral. Magnesium defieciency is very common these days, but often goes undiagnosed. Magnesium influences so many bodily processes including digestion, energy production, muscle function, bone formation, creation of new cells and so much more. Lack of magnesium in the body can result in a variety of conditions such as stress, low energy, fatigue, inability to sleep, headaches, anxiousness, nervousness, irritability and more. It’s easy to see why many researchers say that no single dietary factor is as critical as magnesium. Kids Natural Calm Multi consists of 24 Organic Fruits and Veggies. They incorporate superfruits (organic pomegranate, açaí, goji and noni), fruits (apple, banana, blackberry, blueberry, cranberry, mango, orange, pineapple, raspberry, strawberry and tart cherry) and vegetables (beets, broccoli, carrot, collard greens, kale, peas, pumpkin, spinach and tomato). Special care is taken to ensure that no pesticide, herbicide or fungicide residues, chemical fertilizers or genetically modified ingredients were included in the formula. The Omega-3 DHA & EPA in the formula comes from fish oil which is sourced from the purest wild sardine and anchovy, fished in cold, pristine waters off South America where there are significantly less environmental impurities. This was the bottle that I received for this review. It’s a good size at 30 fl oz. It will last my family a couple of months. I can actually see the minerals in it when I pour it out. Some settling does occur in the bottle, so I usually store it upside down between uses and then give it a real good shake to be sure that we’re getting all of the good stuff each time I pour it. Kids Natural Calm Multi features an organic fruity splash flavor, sweetened with organic stevia. To use, simply mix with an equal amount of water or add to juice. I use 2 tablespoons of it, mixed with 2 tablespoons of water. It’s recommended for kids ages 4 through 13. 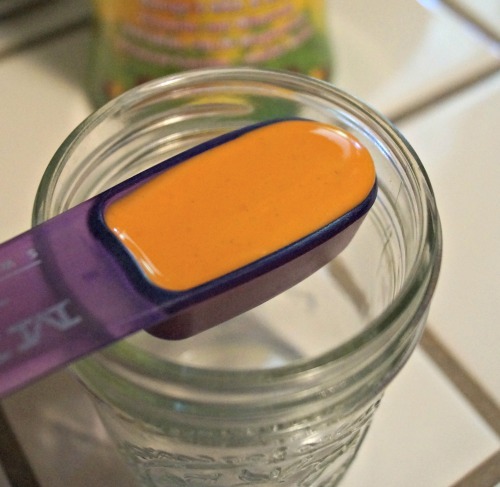 I know with my own kids, who can be picky eaters, it can be hard to be sure they are getting all of these essential minerals, so giving them a good quality supplement just feels like the right thing to do. 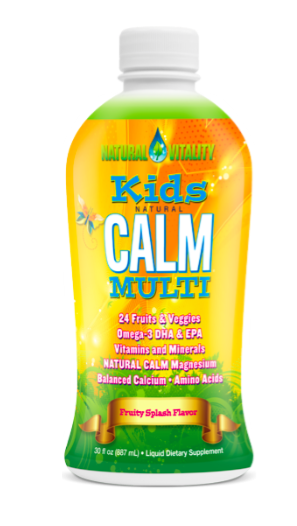 If you are looking for a good supplement, give Kids Natural Calm Multi a try. Buy it. Win it: One of you will win a bottle of Kids Natural Calm Multi. Please enter through the Rafflecopter below. It may take 30 seconds or more to load. I would really love to try the Kids Calm Multi! I have 2 very picky eaters who could really use a supplement like this! I would choose the Natural Calm.